Harrisburg, PA – Governor Tom Wolf joined Lt. Governor John Fetterman as he announced that he will be launching a statewide listening tour to hear from Pennsylvanians about the possibility of legalizing recreational marijuana. Tour dates will be released in the next few weeks and Fetterman has committed to visiting every county in the commonwealth. Both Gov. Wolf and Lt. Gov. 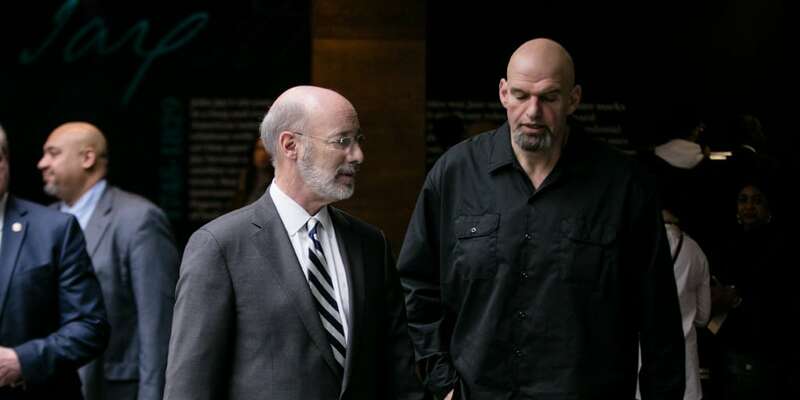 Fetterman believe it is time for Pennsylvania to take a serious and honest look at legalizing recreational marijuana. Medical marijuana has been legal in Pennsylvania since 2016 and Gov. Wolf stressed that any proposal for legalizing recreational marijuana would need to be implemented after the medical marijuana program is fully implemented. For those who may not be able to attend a listening session or are simply interested in providing feedback about legalizing recreational marijuana, the lieutenant governor’s office will be establishing a webpage form to be available when the listening tours begin.